Embrace the chill of the winter season with some of Kansas City’s most entertaining winter thrills, from tubing and skiing to curling and ice skating. This long-beloved tradition arrives every November and sticks around for the entirety of the season. 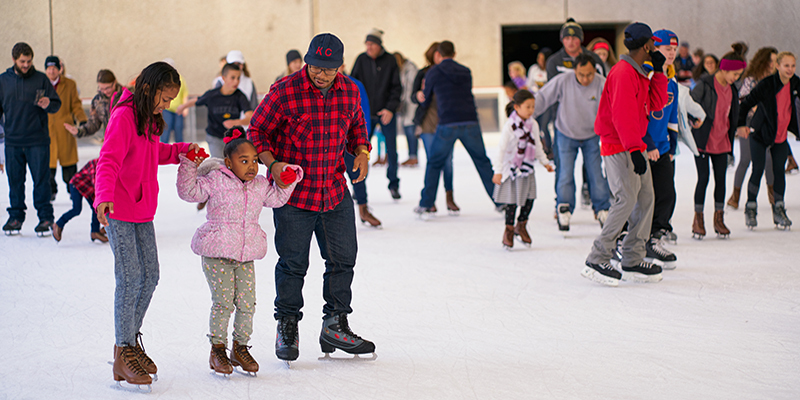 For skating in the heart of Downtown KC, head to Crown Center Ice Terrace, the perfect way to take in impressive winter wonderland sights at Crown Center. 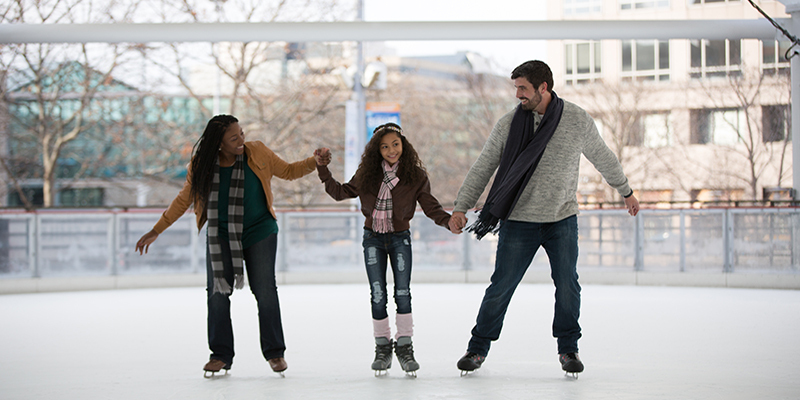 Ice at Park Place: Don’t fret if you’re a little further south of Downtown, because this Leawood facility satisfies any skating craving. KC Ice Center: Located in Shawnee, this rink is devoted to everything from skating lessons to club hockey matches and figure skating. Centerpoint Community Ice: Known for league hockey play as well as free skating and figure skating in Independence. Summit Ice: Lee’s Summit’s aptly named skating facility features public skates and pond hockey for those interested. Linden Square Skate Rink: This rink in Gladstone features weekend skating hours, perfect for kids during school holiday breaks. Line Creek Community Center Ice Arena: A 34,000-square-foot facility that offers opportunities for public skates, freestyles and stick times. 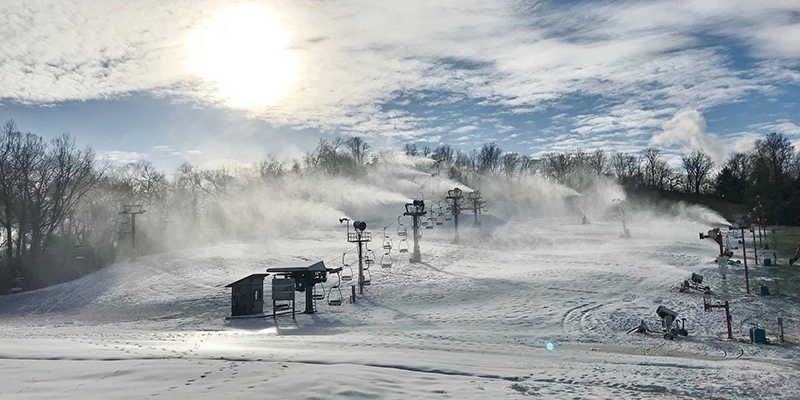 The go-to spot for all downhill snow activities in the Kansas City area is Snow Creek, an expansive operation that offers skiing, tubing and riding services. The best part? The Weston-based Snow Creek relies on artificial snow, which means that you don’t have to worry about checking the forecast for accumulation before your big day on the slopes. In between sessions, head indoors to warm up and enjoy food from the café. Yes, curling! 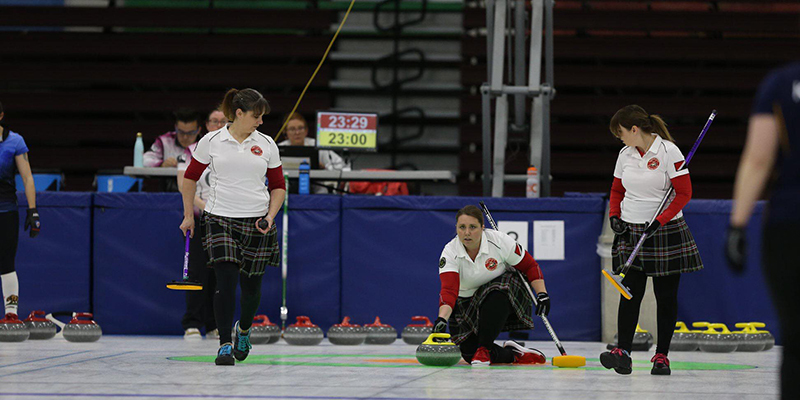 The sport that reemerges into public consciousness every four years during the Winter Olympics is more accessible than ever thanks to KC Curling Club. Located northwest of Downtown KC, the club’s facility is open for newbies to learn the sport and for experienced curlers to compete in leagues year-round. 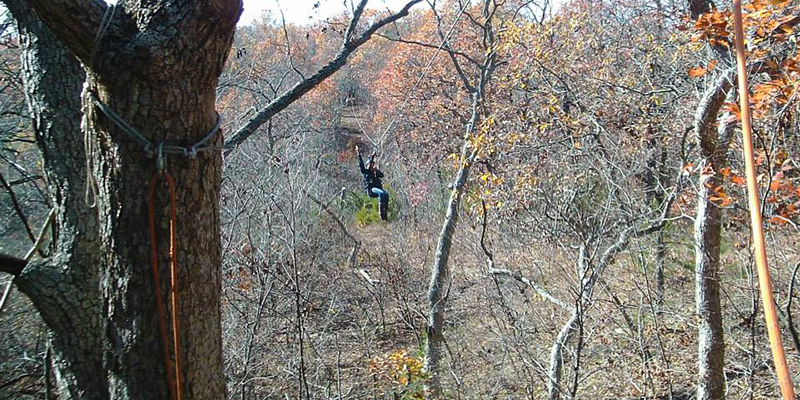 Soar through the winter wilderness at Zip KC, which operates throughout the year and features more than one mile of zip line excitement. Choose from six different tour options and reach speeds up to 50 MPH in this popular Bonner Springs attraction, a high-flying twist on typical cold-weather activities.